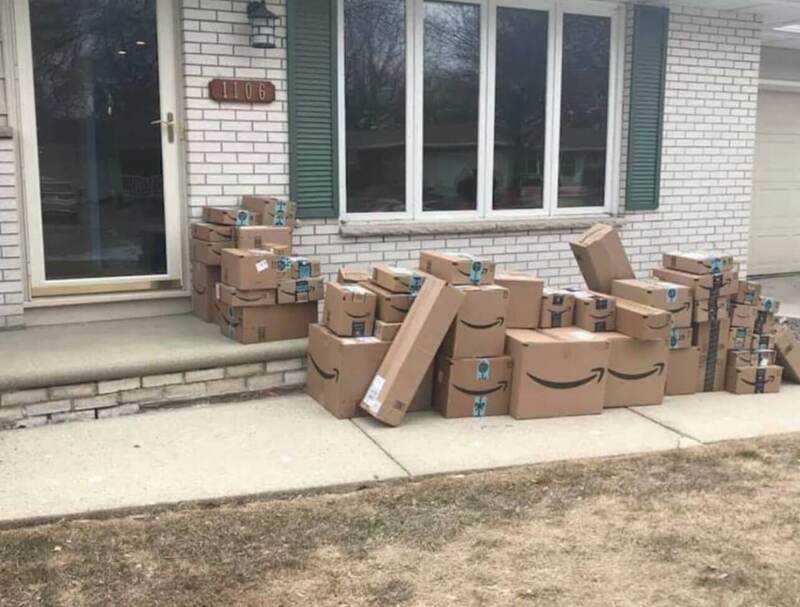 Man’s wife saves all her Amazon purchase boxes from the past 2 years to place on her porch for her husband to come home and see this April 1. There are gonna be some sorely disappointed package thieves. Good. I’d hope she added weight to fool them. Like horse feces and a paint bomb? I could support that.